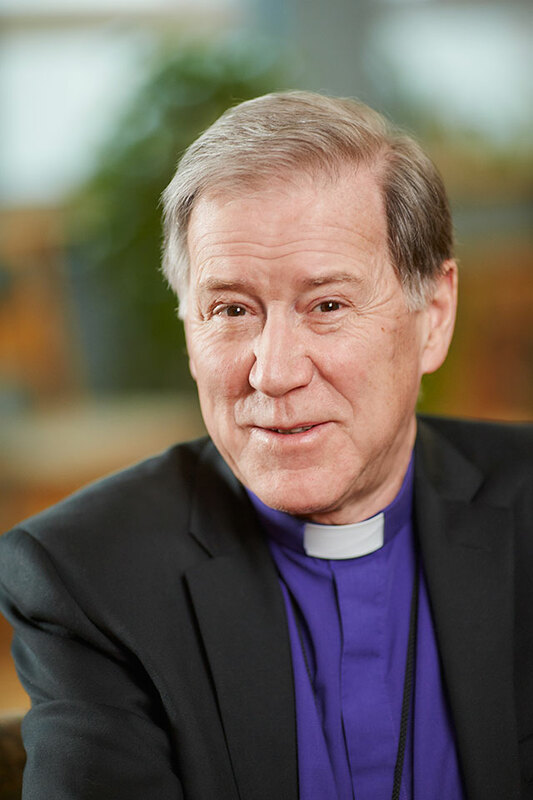 Bishop Susan Bell is delighted to announce that our guest speaker will be the Primate of the Anglican Church of Canada, the Most Reverend Fred Hiltz. Archbishop Fred is a friend of many in our diocese, having spent a great deal of time in our diocese throughout the 12 years of his primacy. His gentle and faithful witness, both within and beyond our beloved Church, reflects servant leadership at its best. We are so fortunate to have this opportunity to hear Archbishop Fred and share an evening of fellowship and celebration with him as he prepares to retire this summer. I know that you will find his words and wisdom both meaningful and inspiring. The Most Reverend Fred Hiltz was born in Dartmouth, Nova Scotia and served in a number of parishes within the Diocese of Nova Scotia and Prince Edward Island. He was elected Suffragan Bishop of the Diocese in 1994 and diocesan bishop in 2002. General Synod elected him as the 13th Primate in 2007. He travels extensively from ‘Coast to Coast to Coast’ and is recognized throughout Canada by “our beloved Church” for his work in reconciliation and self-determination by our Indigenous Communities. Archbishop Fred was the first Primate to be elected President of the Board of Directors of the Primate’s World Relief and Development Fund (PWRDF). He serves as the liaison bishop to Mission to Seafarers Canada and chairs the Board of Directors of the Anglican Foundation of Canada. You can learn more about the ministry and leadership of Archbishop Hiltz at https://www.anglican.ca/primate. Please save the date and join us as we celebrate our diocesan family and welcome our distinguished guest! The Bishop’s Company is a discretionary fund that allows the bishop to compassionately and strategically respond to the emergent needs of our diocesan leaders, lay and ordained. The fund was established by Bishop Walter Bagnall over 60 years ago. One of the benefits of membership is an invitation to our annual dinner, a fundraising event with an engaging key note speaker and an opportunity to renew connections with one another. Support of the Bishop’s Company enables Bishop Susan Bell to respond to the needs of our clergy and lay leaders; needs such as emergency crisis support, relief in the face of financial hardship, funds for vocational transitions, as well as bursaries and scholarships to help the leadership of the church retool for missional and entrepreneurial ministry. Primate of the Anglican Church of Canada.